Flip a coin.If heads your pokemon will be crushed.If tails you get to use your enemy's attack against him/her. Flip a coin.If heads your pokemon will survive. 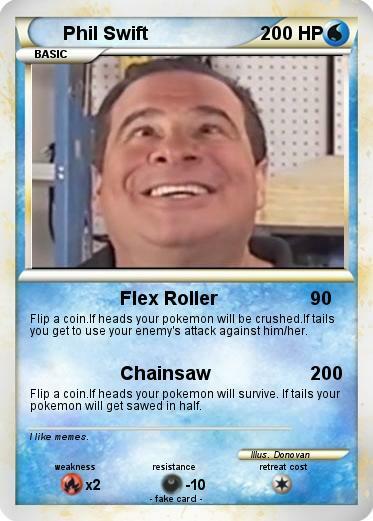 If tails your pokemon will get sawed in half. Comments : I like memes.